in size from 3.5" to 4.3". - Thin, straight and dark bill. - Two white wingbars. The wingbar closer to the wingtip is wider and next to a dark band. - Large head and almost no neck. 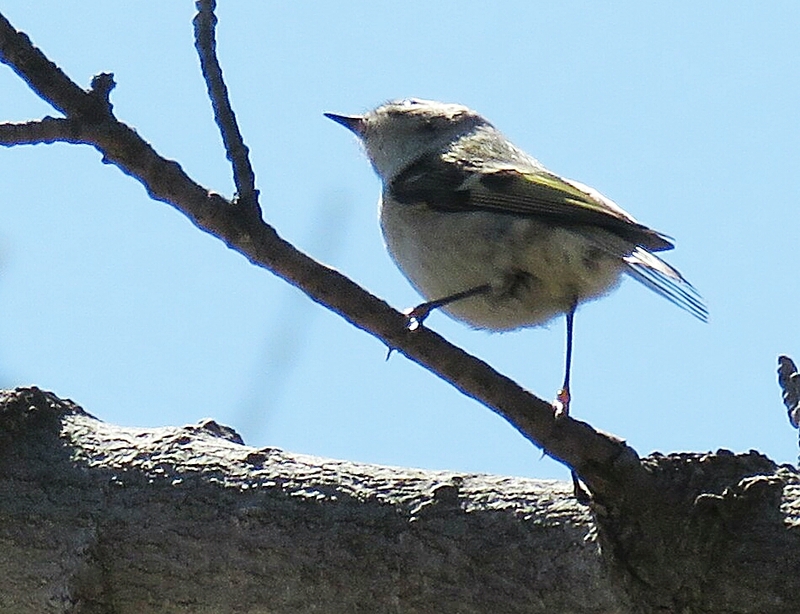 The Ruby-crowned Kinglet is a tiny bird that lays up to 12 eggs, the largest clutch of any North Americsn passerine for it's size. A full clutch can weigh as much as the female herself. The Kinglet is mainly insectivorous, but also eats fruits and seeds. 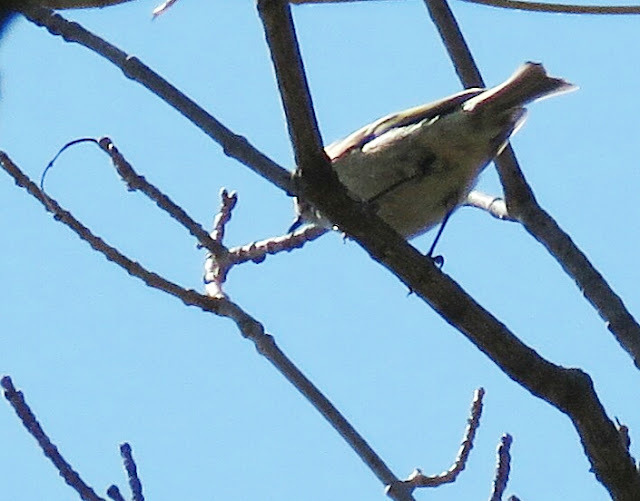 The Ruby-crowned Kinglet is a new species to our Photographic Life List, which now stands at 778.